The road which links Gaucin with Ronda affords the traveller an impressive view of the mountains covered in the green of cork oaks, gall oaks and chestnut trees, into which the white villages of the Genal Valley are set like jewels, with streets which still conjure up the magic of their Andalusi-Arabic past. However, the aforementioned busy thoroughfare does not offer a panorama of Benalauria, which is two kilometres from the the crossroads with the A-369 highway, but the traveller will find a detour to visit this most special enclave well worthwhile. 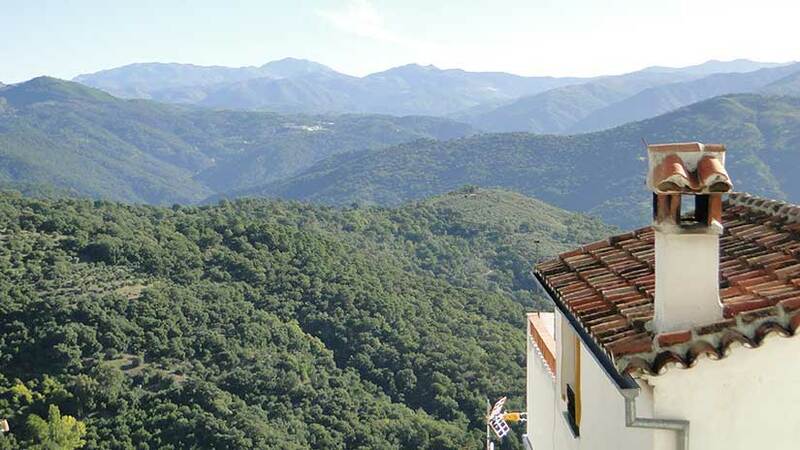 As is the case with most of the villages in the Genal Valley, its steep streets serve to provide views of both the unusual urban structure of the village and a wide panoramic view of the surrounding mountains. Walking through the streets of Benalauria, we soon come to the square which is home to the 18th-century Town Hall, opposite which stands a collection of slender palm trees which are an unequivocal reminder of the village’s Moorish past, and, moving a little further on, we find St. Domingo’s Parish Church, built in the 15th and 16th centuries. Its name may be derived from the Berber tribe of Banu al Auria, who were part of the first Moslem expeditions to cross the Straits of Gibraltar in 711, led by El Tariq. When Ronda fell to the Catholic Monarchs, the Marquis of Cadiz was given the task of capturing the villages and hamlets which depended on Gaucin, which he did with little opposition. One of these settlements was Benalauria, which subsequently fell under the jurisdiction of Benadalid, then the capital of the region. In 1570, Benalauria, a village populated primarily by moriscos (Moslem converts to Christianity), took up arms against Benadalid, burning Montemayor Castle, the church and the priest’s house, as well as all of the deeds pertaining to both villages, which were part of the estate of the Duke of Alcala. In the wake of these events, the moriscos were imprisoned or deported, and the area was repopulated with Old Christians from El Coronil. In the 19th century, Benalauria became an independent municipality with its own local council.